Announced in February 2009, the $43-million intra-town cycling plan covers 5 HDB towns – Pasir Ris, Sembawang, Tampines, Taman Jurong, and Yishun. Cyclists and pedestrians in Pasir Ris Town can expect a safer cycling environment in their estate as plans to create a cycling network in the town take shape. For this year’s Nike WE RUN SG 10K 2011, runners will take on the Nicoll Highway and finish at the historic Old Kallang Airport. 12,000 runners are expected to participate at this year’s Race. Sign up for the Nike WE RUN SG 10K race with a buddy to enjoy a discounted entry fee. What’s more… team up for the Run Buddy Run Nike+ Challenge and start syncing your kilometers to Nike+ now to win a VIP Race Day Experience and other great Nike prizes! If you like horse racing, you should know that Singapore Turf Club is the only authorised operator of horse racing, and horse betting services in Singapore. Singapore Turf Club was founded in 1842 as the Singapore Sporting Club to operate the Serangoon Road Race Course at Farrer Park. The first horsing race was held on 23 February 1843 when prize money on offer was only $150. In 1924, the Club changed its name to the Singapore Turf Club. This was done to reflect its role as a horse racing club more accurately. The Club moved to Bukit Timah in 1933 before relocating to its present location at the Singapore Racecourse at Kranji in 1999. The Kranji racecourse is adjacent to Kranji MRT Station. Racing is staged all-year round on either Fridays, Saturdays, Sundays, or Wednesdays. A feature of the horse racing calendar is the S$3 million Group 1 Singapore Airlines International Cup (SAIC). It is held in May, coupled with its sister sprint race, the S$1 million KrisFlyer International Sprint. Singapore Turf Club introduced MobileTote in April 2009. With this service, racing fans can now place totalisator bets, enquire about betting/horseracing information and manage their accounts from any location in Singapore or oveseas with their mobile phones. Race Cards for Friday Singapore meetings will be published on Wednesdays.Race Cards for Saturday and Sunday Singapore meetings will be published on Thursdays. You can find race results on Club website. National Parks Board (NParks) introduced a new camping permit application system in 2009 to cater to the growing popularity of camping as a recreational activity particularly at coastal parks. West Coast Park (Area 3). Camping permits will be required on weekdays and weekends, including public holidays and school holidays. A permit is valid for one day. 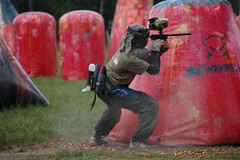 Each camper will be able to apply for a maximum of 8 days per month. Those who wish to apply for camping permits can do so conveniently from any of the 500 over AXS machines island-wide. AXS machines are also located in Changi Beach Park (i-kiosk near Carpark 1), East Coast Park (Area C3), Pasir Ris Park (Carpark E), Sembawang Park (Carpark 1), and West Coast Park (McDonald’s restaurant in Area 3). Campers can also apply online via AXS website (at least one day in advance). In view of the current economic downturn, NParks will cover the cost of transaction over AXS by absorbing the administrative fee of $1 per permit per day. A camping permit is required for setting-up any tent. Setting-up of tents is allowed only within a designated campsite. Open fire or use of stove is not allowed. An applicant can only apply for one permit per park per day (valid from 9am to 9am the following day). The particulars of every person staying in the tent must be stated in the application. The person to whom a permit is issued must be present at the tent at all times and must not leave the tent vacant or unattended to, and must show his permit to NParks officers for verification upon request. Any tent left vacant or unattended to may be removed by NParks without notice. Permits issued are solely for recreational camping only. Residing at the park is not allowed. The person to whom a permit is issued must ensure that the camping area is clean at all times and must clear all trash after using the camping area. Littering or leaving behind trash constitutes an offence which carries a composition fine of $300. 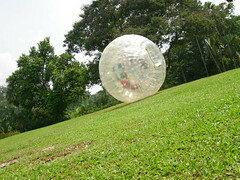 Have you tried Zorb Ball in Singapore? Zorbing originated in New Zealand in the 1990’s as a novel invention by two Kiwis looking for a new adventure challenge. It is now a worldwide business with franchise agents in many countries. 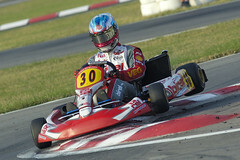 Go Kart racing or Go karting is a variant of open-wheel motor sport with small, open, four-wheeled vehicles called karts, go-karts, or gearbox/shifter karts depending on the design. There are a lot of places we can explore during the weekend. National parks are great places. Today, let’s take a look at Ponggol Park. Developed with the theme “Family Leisure“, Punggol park has many facilities to cater to the young and old. The park has two distinctive zones, i.e, the Southern Active Zone where the features for major activities are provided, and the densely forested area in the north of the pond, which forms the “Passive Zone” where one can engage in passive form of recreation.